Rotterdam and art lovers go well together. Not only are there a lot of museums to visit, there is also a lot of street art. Mural paintings, architectural works and various statues can be found on the streets of Rotterdam. Around Museum Park and Witte de Withstraat you will find the cultural heart of Rotterdam. Here you will find many famous museums where you can visit amazing exhibits. 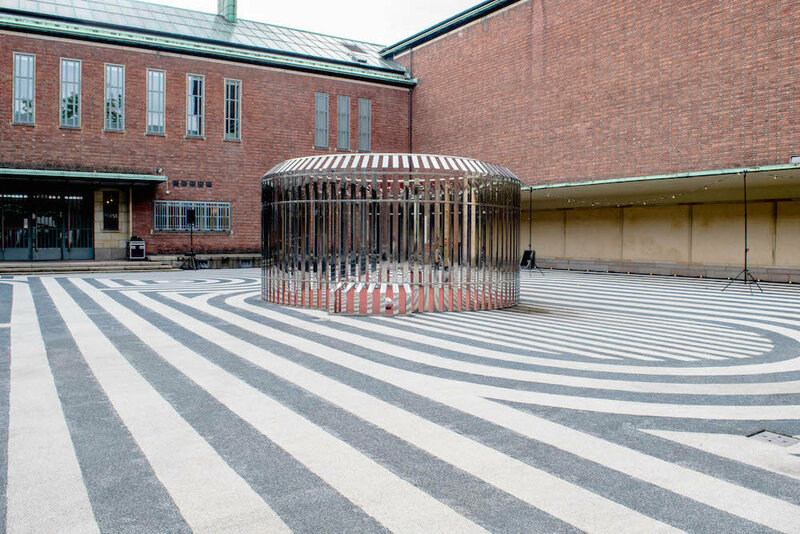 At Witte de With and other surrounding streets you will find smaller galleries. In this art route in Rotterdam we will take you to the best art spots, but not only to museums and galleries, as we also highlight some of the street art. 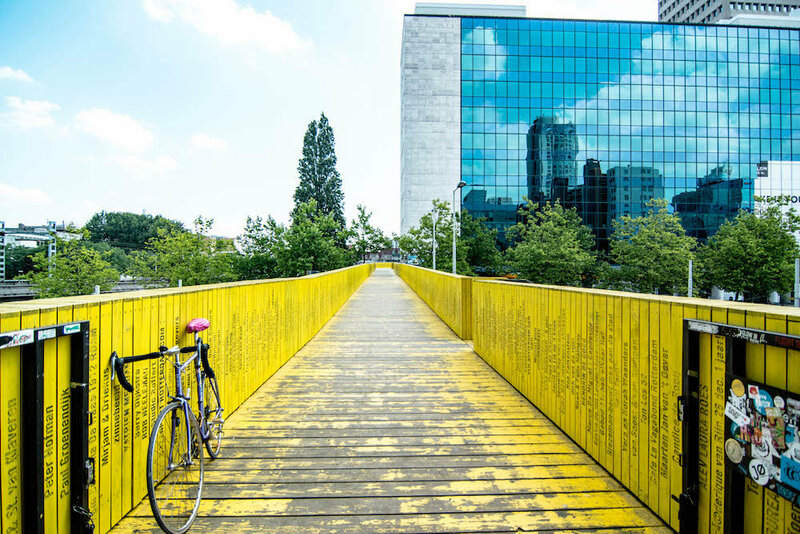 How to get around: We recommend going by bike because it is a fun and fast way to explore this art route in Rotterdam. This route is definitely also walkable, because a lot of the places are close together. Plus a lot of the art work can be admired on the streets, which is easier by foot or by bike! 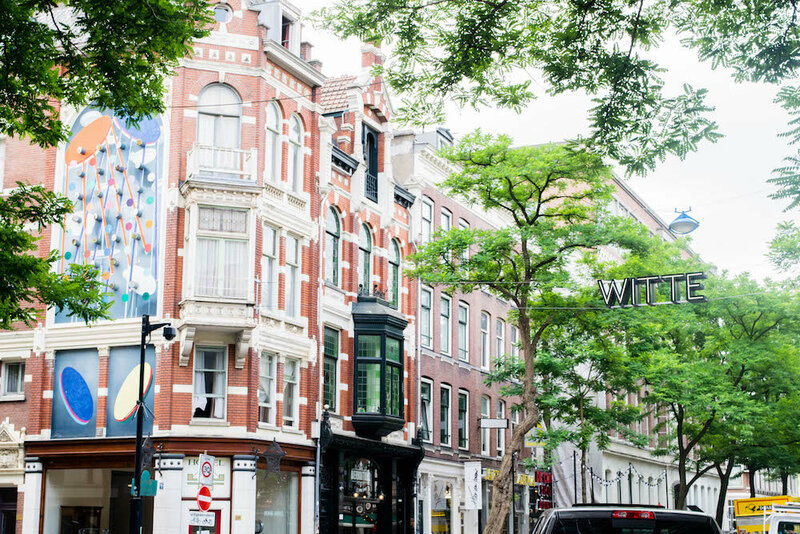 We start at Witte de Withstraat, which certainly deserves to be called Rotterdam’s cultural street. It’s a lively and artistic street filled with nice cafes, shops, art galleries and restaurants. Are you using public transport? Then we recommend to go to Eendrachtsplein, where you can admire the legendary ‘Kabouter Buttplug’ or ‘Gnome Buttplug’. From here you are in walking distance of Witte de Withstraat. On the Witte de Withstraat you have a lot of galleries such as Eijck Gallery, Witte the With Center for Contemporary Art and TENT Rotterdam. The street itself is also filled with wall art and other art works, so don’t forget to look around. But next to art, you also have a lot of shops and restaurants. So it’s a good point to start the day with a nice breakfast at the Bazar, but of course it is also an ideal place to end the day with a burger at Ter Marsch & Co. and a drink and a little dance at De Witte Aap. From Witte de Withstraat it’s only a few meters to get to the Museumpark. Just cross the Witte de With bridge, keep going straight and you’ll already find Museum Boijmans on your left and Het Nieuwe Institute on your right. So, it’s time to visit one of the museums in Rotterdam! The museum park connects several amazing ones. There is plenty of choice, because the most famous museums are located in a close proximity of each other: Museum Boijmans van Beuningen, Het Nieuwe Institute, Chabot Museum, Villa Sonneveld, Natural History Museum and De Kunsthal. Be sure to take a look at some of the great exhibits on the day of your visit. That way you can make a decision which you’ll visit. It is also possible to buy a combination ticket and visit all of them. From Boijmans van Beuningen you can walk via the Museumpark to the Kunsthal. There are also various artworks in the park, thus it can also be considered to be an open-air museum. These are of course free to admire. Food & drinks: Hotel Bazar, Ballroom, Satebar, Warung Mini Rotterdam, Eetcafe Grandpa, Jaffa, Beer Boutique, Bread & Sappies, Hung Kee, Ter Marsch & Co, Hamburg, Wunderbar, Cafe LaBru. In Rotterdam you do not have to spend a lot of money to enjoy art. In our city you will find the most amazing works of the most famous artists right on the street. For instance the street art that belongs to the Sculpture International Rotterdam. 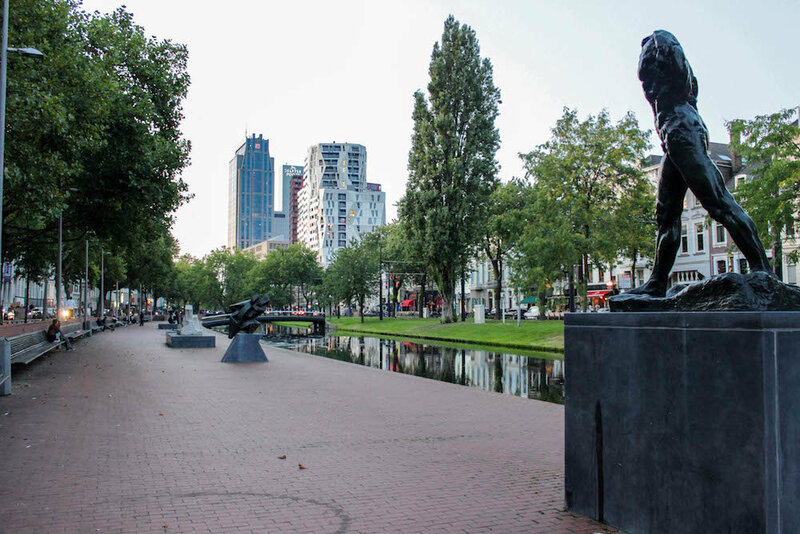 More than 50 permanent works of art can be found on the streets of Rotterdam! From the Museum Park it’s only a few minutes walk to the Westersingel. Along this so-called Beeldenroute you will find 17 art works that are part of the International Statue Collection in Rotterdam. Westersingel also happens to be on the way to Rotterdam Central, so it’s hard to miss! Within a few minutes you can reach the Luchtsingel from Rotterdam Central Station. Of course, this striking yellow bridge is already a work of art, but there are also various graffiti and other murals that will certainly make for a beautiful, colourful picture. The Hofbogen are easy to combine with the Luchtsingel. The roof of the Hofbogen is the landing spot of the Luchtsingel. Furthermore, you can admire enough art at the Hofbogen. Here are also several galleries, such as Chinnoe & Vlemmix. Also, if you walk around Station Hofplein you will find the wall below the Luchtsingel. Here is a piece of art to admire from Opperclaes, and 4 times a year they make a new one! Currently the wall is completely pink. It’s never boring in Rotterdam. Food & drinks: Hong Kong Restaurant, De Harmonie, Restaurant De Park, Vibes, QQ Bakery. Food & drinks: Bar Rotterdam, Annabel, 1st Class Local, Esto Food & Drinks, Mono. A beautiful route to fill your day with art. Of course, you can also start halfway through the route, walk it from back to front, or cut it up in parts. And if you can’t find a street, feel free to ask people around you. A true Rotterdammer knows exactly where it is! For your ease we have also included a map below. Love finding art while out exploring! THis is so great!